Welcome to The Ladybird Class Page. Details about forthcoming events in our class. Our class webpage is usually updated each half term and is the place to check out the children's learning and important dates. Our whole school focus is: Reading. supporting your child with recognising the letter sounds, blending for reading and recognising the common exception words by sight. sharing your child’s library book with them. Supporting your child with shared reading sessions in class. Don't forget there are many ideas in your child's 'starting school booklet', homework book and reading dairy. If you need help or support please ask! We continue with our question, what is the best way to travel? So far this term our question was how can we travel to space? The children have had some imaginative ideas and really enjoyed helping Bob from the man in the moon story. They have achieved some fantastic writing, creative models and lots of one more and one less using rocket ships, aliens and planets to help us. We had a pause to celebrate shrove Tuesday and every child made, flipped, raced and ate their own pancake! They then had a go at designing their favourite pancake which produced some very good writing. This week in maths we are learning to use the language of adding and subtracting so please support your child with this at home. You can do this with anything... pots and pans, tins of food, toy cars, dolls etc. Please also continue to support your child at home with recognising, matching numerals to quantities, writing numerals as well as the usual reading and phonic work. It was lovely to see so many of you at parents evening and thank you for supporting your child with their learning as they progress through the year. Events to look out for this term are our Easter Egg hunt down the river, sharing assembly, science day, comic relief day and more! Some of you have been following our twitter account which is updated as great things happen in the class! Don’t forget to follow us for up to date learning! The final cut of The Ladybirds NAughty Bus film. Another fun week in the Ladybird class. 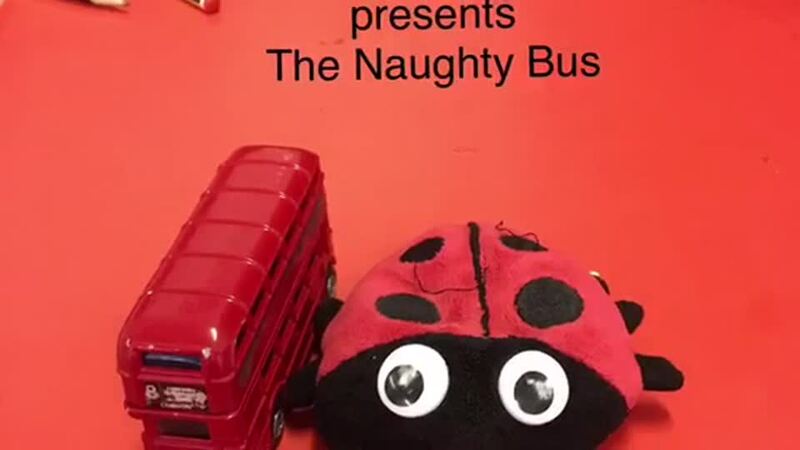 View our trailer of the Naughty Bus movie we have been making this week. Welcome back to an exciting and busy term. They have been labelling and writing captions about their bikes and scooters they bought in and have enjoyed riding around a circuit in the playground. weare very lucky to have a professional dance teacher who will be leading our dance sessions based around transport. Many Thanks to Theresa for kindly giving up her time for us. The children will be performing their dance at the end of the half term. 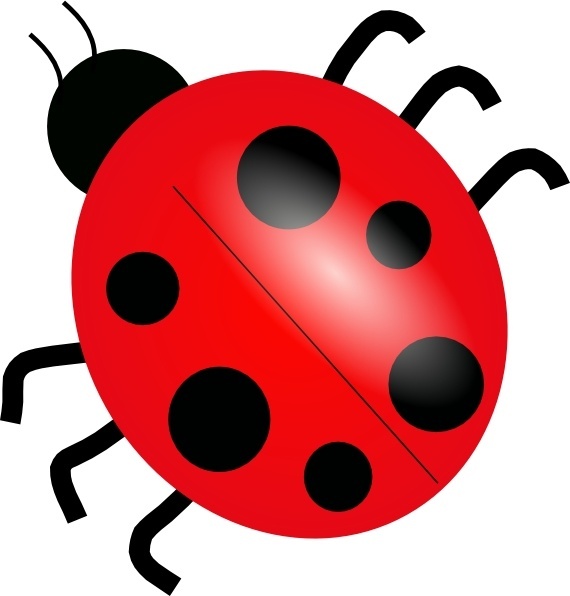 We have had a great start to the term and all the new Ladybirds have settled in well. The children have been fully engaged in their learning across the curriculum. We have learnt from each other about similarities and differences in our families, we have enjoyed many stories with our favourite being “The Scarecrows Wedding”. We have visited the farm and discovered facts about the cows, made our own Harry O’ Hay from our story. In Maths we have been investigating numbers and shape. In our PE sessions we have been very impressive with our hockey skills and have been responsible so we have all kept safe! We all love learning in our outdoor area! Have a great half term holiday and don’t forget to read, read, read! The children have returned from half term eager to continue their learning. They have enjoyed learning our songs for ‘The Innkeepers Breakfast’ and are very excited about practising on the stage next week! We hope you enjoy the photos which will give you a snap shot of our learning so far this half term. Thanks for all the reading experiences you have shared with us on Tapestry! become experts at singing our nativity songs!! This week we had a wonderful visit to Easton Farm Park with the Year 2 class. We have been practicing for our end of term performance and have made some amazing structures with the connects and large construction wheels. We have had a busy couple of weeks! look at how well we have looked after our vegetables with the help of Jo, Gloria and Mia. They tasted very nice, although the radishes were very spicy. A big thanks to James for coming in and helping us make some circus characters to go in the Big Top that he made for the class. We had a fun, creative morning and learnt so much about fastening materials together in different ways! We have already made up some great stories in our circus big top. This week we have been enjoying sharing stories, comics and topic books in the environmental area. We looked for the bluetit whose eggs have now hatched. Outside in our garden we have made castles and forts, washed up the toys in the mud kitchen, done lots of measuring in the sandpit, water area and mud kitchen. We have made healthy meals for Prince Harry and Megan after all the cake they had at the wedding and this afternoon we are looking forward to our key stage 1 inter house rounders tournament. we have had such a fun learning all about the Royal Wedding. The children have been finding out about different castles where Kings and Queens have lived, there has been lots of role play including, guarding the palace, preparing the wedding breakfast, acting out the wedding, going to the banquet, the wedding disco and much more! The children have also been learning about doubling, sharing and halving using the means of decorating a wedding cake! We have been designing a wedding dress for Megan, planning a spectacular three course meal and making Union Jack bunting. The children have enjoyed listening too and sharing fiction and non fiction text about castles, Prince and Princesses. We also had a lovely time exploring he woods with Mrs Packard. We made habitats for the woodland animals, did some leaf and bark rubbing, revisited and extended our dens from our previous visit, investigated how many different objects we could fit into a small pot, climbed treees, had snack and even had time for a story about an owl! Thank you Mrs PAckard for a very busy and exciting morning and thanks to all our helpers. The children have been learning about the life cycle of a caterpillar. We have enjoyed listening and retelling the Hungry Caterpillar’ story, made puppets and life cycles out of play dough. Been creative with making various caterpillars using different media. We were fantastic at listening and following instructions during our second tennis session and having some budding stars in the making. Our new September starters visited again this week and I was very proud of how all the children looked after and played with the new children. Have a great Bank holiday weekend. welcome back to the Summer Term. The past two weeks our topic has been growing. The children explored the environmental area and the spinney, went pond dipping, got up close with the tadpoles from Jacks Grandads pond! The cress heads and sunflowers are beginning to grow and we are looking forward to measuring them each week. In PE we are learning about tennis and rounders. Next week our learning is focussed around life cycles. This week we had to offer our help to the chocolate factory and help with their Easter Egg production. We have counted, sketched, painted, made repeated patterns, shape patterns with various types of Easter eggs, decorated our Easter Tree, found out about the Easter Story, made Easter cards and focussing on our handwriting, played dodgeball, shared reading, used our diagrams, triagraphs to make Easter words with the eggs in the water tray and we are looking forward to Sports Relief tomorrow. On Monday we received a present from Best BEar. 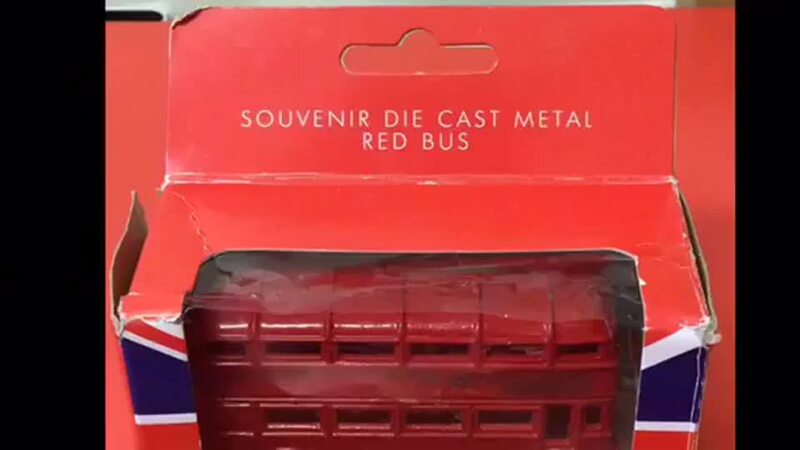 It was a Naughty Bus from London. We listened to his story and made London from the 3D shapes and soft play. On Tuesday we arrived at school to find he had gone missing and he had left such a mess in our class. We were dectectives and tried to find him and wrote missing posters to see if anyone had seen him. We finally found him on Thursday. He had got up to more mischief and had got stuck inside a jelly! We helped to rescue him and taught him our Ladybird class rules. Today we are going to send him back to London to stay with Shabba....I wonder what adventures he will get up too! 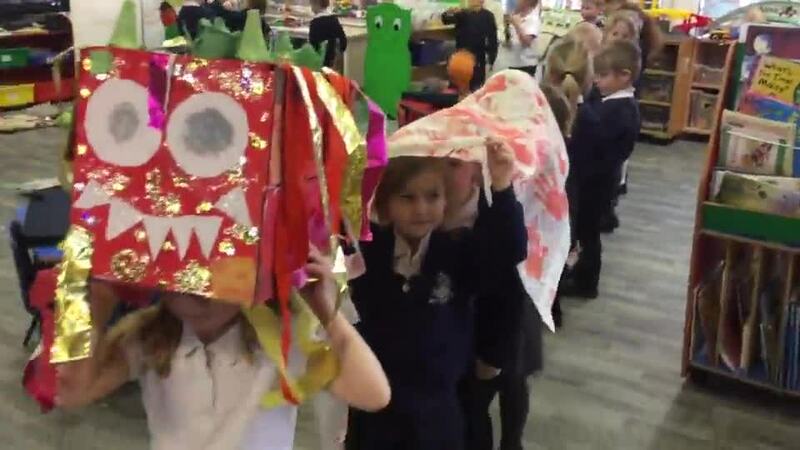 This term has begun with the children learning all about Chinese New Year. Once again they have embraced our new theme and the children find out many interesting facts for their homework which they enjoyed sharing with their class. As your you can see from the photos, the whole curriculum has been covered throughout this learning opportunity. This week the cold weather paid us a visit again and The Ladybirds enjoyed exploring ‘proper’ snow! It was great to see so many parents this week during parents evening and a pleasure to share your children’s successes and next steps with you. Once again, I would like to take this opportunity to thank you for all the support you give your children, it really does make a huge difference to their learning. The children were very excited to experience the snow on Monday morning. They had fun making snow angels, snowmen and different tracks. The cold has led to many opportunities for extending the children’s knowledge and understanding. They have been leaning about character’s through the Gingerbread Man story and have had some fantastic ideas for their writing about how to trap the Gingerbread Man. They also had an impromptu lesson on problem solving earlier this week as we forgot to put eggs on our shopping list. We had to improvise when making our gingerbread men but they tasted alright! Thanks for a wonderful dance performance on Wednesday morning and all Theresa’s time and energy to make this happen. We have ended the week with a visit from year 3 class who have shared their learning about ancient Egypt with us. I would like to take this opportunity to thank all the parents for their continued support and kind words, especially at this unsettling time and wish you all a relaxing half term. This week we have been learning about weights and measures in maths. We made human spring scales and the children worked out objects that were heavier and lighter. In our baby clinic we have had some fantastic role play with several emergencies for the Doctors and Nurses to attend to. We have observed some very relevant language and had some precise doctors notes! The children have made good progress with their phonics and the staff have been very impressed with their phonic knowledge and how they are using it across their learning. We are all looking forward to performing our frozen dance in assembly next week. We have been bread and sandwich makers this week in Reception which will help with our instructional writing later on in the week. The children have been enjoying the humour in our story ‘Ketchup on your Cornflakes’ and have been making up their own funny sandwiches. Some children have designed and made some interesting bread delivery vehicles and tested them out with the soda bread they made. Maths this week is all about shape. There has been shape investigation in the indoor and outdoor environment, making patterns and pictures with shapes and lots of games describing the properties of shape. We are looking forward to seeing our parents at assembly this Friday. The week begun with our class vote on our preference for the picture book of The Owl who was Afraid of the dark, or the word book where we had to use our imaginations and think of pictures in our heads. The picture book won the vote very slightly. The children have been acting out the story with our Owl puppets and making up their own stories. They have also been writing instructions about how to have a pajama party (which is one thing we can do when it's dark). In maths we have been finding one more than a given number and have been finding lots of practical ways to do this as well as recording our number sentences. Phonics this week has been a little bit more tricky with digraphs to learn. Please support your child with their homework as this will consolidate what we have been teaching in class. 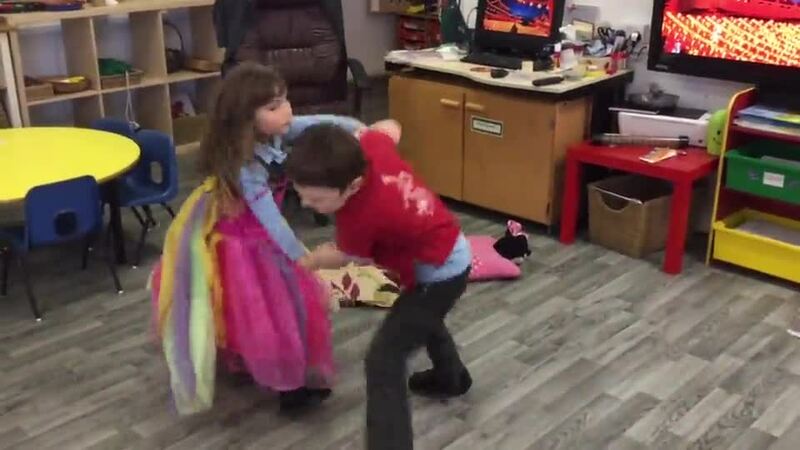 Another fun dance session from Theresa has progressed the children with their balance and movement. Outside, we have had to have a big clear up after the storm, and lots of active play has taken place in our new Gym Fitness Centre! The children have responded to The Winter Bear story and have made some terrific animal winter houses using clay and other materials. As you can see from the photos on their learning journey's they have all really thought about how the homes need to give protection from the wind and rain. Please check out our art display in the hall. The whole school have based this piece of art on David Hockney, we choose 'The Winter Tunnel'. Next week our topic will be based around food. Great enthusiasm and learning this week around our Winter topic. It has been lovely to have the children back in class today and they are refreshed and ready to to learn after the holidays. For the beginning of this term our topic is Winter and our Literacy and cross curricula topics will be based around this theme. Maths will be focusing on counting on and back to 20 and beyond, estimating groups of objects and recording numbers. Our phonic sessions will now be split into two groups between myself and Mrs Boast. All children will be beginning phase 3 and they have all been give the first set of phonemes and digraphs and also their tricky word card to learn. Please don't forget to recap on the phonemes and words from phase 2 and to read and hear your child read regularly. PE will now be first session on a Wednesday morning and we are very lucky to have Theresa who will be taking the children for dance this half term. Please can you ensure their named PE kit is in school for Wednesday and all ear rings are removed. If you have any questions please do not hesitate to come and see me and I wish you all a very Happy New Year. And today we found Father Christmas in the woods! He read us a story, answered our questions and gave all of us a Christmas present to put under the tree. We all had a lovely afternoon. Ready for our Christmas party and investigating the ice in our garden. Thanks to all of you that supported our production of prickly hay. The children were amazing and it was enjoyed by all. Thanks to Gill and Andrew Packard today for organising the making of the Christmas reindeer’s. Thanks also to Jo and Ray for helping with the drilling and whittling! Christmas has arrived in Reception. The Ladybirds have been busy dressing up as Father Christmas, making the Grotto, decorating the treee, making decorations and we did the most beautiful handwriting when writing our letters to Father Christmas. On Tuesday we went to the post office and bought a stamp so we could post our letter. The lady in the post office commented on how polite and wel, spoken the children were. Our dress rehearsal for Pricky Hay went very well yesterday and we are all looking forward to performing to our parents and friends of Shotley School today and tomorrow. This week we are continuing with our space topic. We have embarked on many space journeys, visiting the moon, mars and meeting several aliens. We have all been space cadets and have counted and added 1 more space cadet on our rocket ship. We have booked space visits in our travel agents and created many models are space art work. In pe we had a house competition with cavendish (the yellow team) being clear winners. Pour music assembly was very enjoyable and showed progression from Reception to Year 6. I was very proud of our class who kept the beat and sang I’m a little teapot beautifully. What a busy week we have had this week. We began the week with some fantastic writing about our bonfire night experiences and have enjoyed admiring each other’s rockets and fireworks. Weve had had lots of reflective thinking about Rememberance Day and what it means. Mrs Packard in Year 2 did a very moving assembly and we learnt about why we wear poppies. Our class welcomed our visitors into our class this week and shared their learning about repeated patterns. We had some great snakes with 2 and 3 colour repeated patterns. Outside we have our maths shed decorated with more complex shapes they we had printed. On Thursday we had a visit from PSCO Denise. We we able to sit in her police car and we all know what to do in the invent of an emergency. Today we walked to the church with the whole school for the Remember Service. For the next few weeks our learning will be based around space. If your child has any stories on non fiction stories they would like to share with the class they can bring them in from Monday. Finally, it was a pleasure to see so many of you at parents evening and share in your children’s achievements. Lots of learning today through making pumpkin lanterns and soup, magic potions and imaginative role play. Not many fans of pumpkin soup though! We cannot believe it is half term already. The children have settled into school so well and have all made good progress already. This week we finished up with a trip to the woods to collect leaves ready to make our Guys with after half term. It was a wonderful morning even though is was rather soggy and muddy! The children enjoyed the sense of freedom and made some great dens, castles and tree climbing. Enjoy the half term holidays everybody! This week the children have been making good progress with learning and writing their letter sounds. They have been using their phonics to label their pictures about the farm trip. In maths they have been great at counting and teaching our class puppet which numeral matches with its corresponding number and have been counting accurately beyond 10. Outside the children have been using the construction and mark making equipment to redecorate the house and it's great to see the children using chunky chalk to write their names and numbers outside. Once again, myself and Jo have been so impressed in gymnastics. The children have been thinking about their learning over the last sessions, reviewing their sequences by watching themselves on video and improving their balance and travelling skills along the benches. We had many PE stars this week! All the Ladybirds are loving the daily mile and on two occasions this week we managed to run 3 laps of the school field. Thank you for supporting your children with their homework, sounds and reading books. Its great to see them all so keen and enthusiastic with their learning. Have a great weekend and next week the children's learning will be based around toys. What another busy week we have had! Our learning theme this week has been about Harvest and we begun the week with the story, 'The Scarecrows wedding'. The children noticed lots of rhyming words and responded with relevant comments. Tuesday we embarked on our first school trip to Mrs Packard's farm. We had such a great time and learnt about the harvest crops, found out about the machinery, sited the grain store, meet the cows and chickens and picked some beautiful apples for our apple crumble. In the afternoon we were busy chopping apples and making crumble which tasted delicious. Another busy week in the Ladybird Class. The children produced some very factual homework about their pets and have all spoken to the class about them. We have been learning how to hold our pencils and form some of our letters. Mrs Durrant visited our class on Tuesday and was very impresssed with the children's positional language and counting. PE was once again the highlight of the week! The children were so speedy at getting changed this week and we had some fantastic, confident travelling, balancing and jumping using the apparatus. Pour daily mile is going well with a combination of walkers, joggers and runners! We are looking forward to our sponsored walk this afternoon. Thank you to all parents who attended the reading and phonic meeting. It was great to see so many of you there and so keen to support your children as they begin their journey at our school. We are looking forward to welcoming some of you into our class to help with reading. Finally, the children were keen to share their Fat, cat, splat song they have been learning which has been helping with our rhyming words. We have had a lovely start to the new school year. All the new children have settled so well already and are beginning to know their way around the school. We have been enjoying getting to know the children and learning about their families this week. Thank you for your contributions to the children's on-line learning journals. We often share them with the children at carpet time which they have been enjoying. Already the children are confident at having lunch in the dining hall, going to class and whole school assemblies, participating in our daily mile each day, PE, in addition to all the other Early Years experiences in our indoor and outdoor classroom. Below are just a taste of some of the activities the children have been involved in.